Sizewise Studio is based near Shoreham on the sunny Sussex coast and run by Chris Winter. 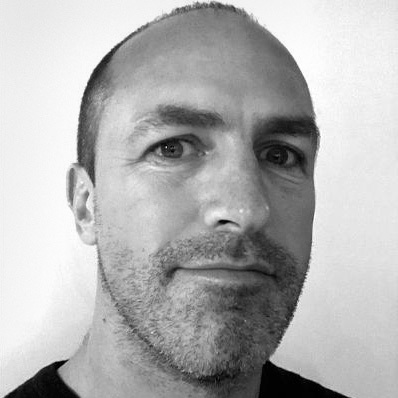 Chris started out working at London ad agencies Proximity, Publicis and JWT, then managed the studio at Wand before moving south and heading up a studio for Spanlite, the large-format backlit specialists. He set up Sizewise at the beginning of 2017 and still manages Spanlite’s image work and website along with a number of other local and UK-based businesses. The office at St Julian’s Hall overlooks the iconic lighthouse and harbour mouth on the coast road between Southwick and Shoreham. Unlike most artworkers I didn’t want to become an agency creative – it was the finer points of artworking, retouching and print production that really got me interested. Aside from designing logos, brochures, websites and more, there’s endless creativity to be had within the technical realm – choosing how best to use the tools at your disposal is a creative exercise in itself. Lateral thinking, good communication skills and a passion for words also help make Sizewise a really useful studio resource. With Sizewise, Chris has been able to expand his offering to include web design and hosting, photography and backlit image solutions. The core principle of Sizewise is simply ‘best practice’, which essentially means that the quality of work and the quality of communication are paramount at all times. It also applies to pricing – Sizewise is an efficient enterprise and offers great value. Pop by anytime to discuss your next project – with coffee and cake of course!